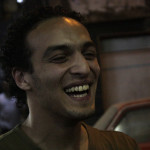 “I was taking pictures of people protesting on the streets of Cairo when police came and locked down the streets. Thousands of people were immediately arrested – not only Morsi supporters, but also dozens of people caught up in the wrong place at the wrong time. One of the 12 cases currently part of Amnesty International’s Write4Rights campaign, the 28-year-old Shawkan has spent the past three-plus years held in a four square meter prison cell with 12 other political prisoners. He’s faced no trial, but he’s had plenty of court hearings, each one only to postpone his trial to a future date. His next court date is Dec. 10 – International Human Rights Day. His courage both in his determination to show the world what was happening in Egypt in 2013 and in surviving more than 1,000 days in jail on bogus charges is inspiring. This week, he was one of four recipients of the Committee to Protect Journalists’ International Press Freedom Award, given to journalists who have faced threats, legal action and imprisonment. But prison has taken a toll on Shawkan. Earlier this year, I met a childhood friend of his, Ahmed Abu Seif, who has launched an international campaign to free Shawkan. Ahmed talks about the spirit Shawkan threw himself into on any activity, and his desire to be part of something that created a better Egypt. 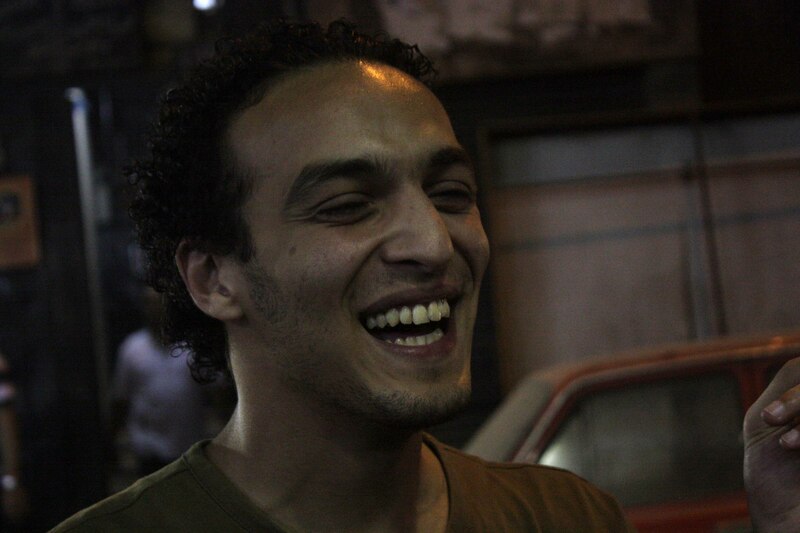 In the many photos we’ve seen of Shawkan, his smile is always infectious and welcoming, a reminder of the giddiness so many of his generation felt in the heady days of January 2011. From the promise of Tahrir Square to Shawkan facing charges that could bring the death penalty, Egypt is heading in the wrong direction on human rights. One of the lessons is, however, that it didn’t have to be this way. There still can be a future for Egypt in which Shawkan and all of the young activists are not in jail, but leading the way to their stated vision of a new Egypt built on respect for human rights. “You keep me feeling that I’m not alone. You all have become my power and my energy and without all of you I cannot go through this. “I want to send my deep love and respect and my appreciation of all what you are doing for me. I feel so lucky to have such kind people like you. And indeed it’s my honor to count you as my friends. This entry was posted in Middle East and North Africa, Prisoners and People at Risk and tagged prisoner of conscience, Shawkan, W4R, write for rights, write4rights by Guest Writer. Bookmark the permalink. This topic motivated me so much that I would just go outside and circulate the word to all. This is wild, but at the very least, a silver lining in this is that it gets some publicity which I think helps out quite a bit. Hopefully he will be freed soon and stop being treated like a rat. I'm sure it's not to clean where he is. Feel free to visit this source if you have any troubles with writing. However not as much as, a silver covering in this is it gets some notoriety which I think helps a considerable measure. In a perfect world he will be freed quickly and stopped being managed like a criminal. When you read articles advising you on making your blog better, you will see the word 'reach' quite often. Put simply, your reach is your audience; the people who are listening to what you have to say at any one time. So if you want to increase your reach, what can you do?